The Tennessee Health Information Network (HIN) was formed in 1999 by the Tennessee Hospital Association (THA) to assist member hospitals in meeting the state mandated hospital discharge data reporting requirements. Since July 1994, hospitals have been required by T.C.A. 68-1-108 to submit UB discharge claims data to the state of Tennessee, Department of Health. This legislation also requires the state to share the data with THA. THA member hospitals submit the data through the THA Health Information Network (HIN) and non-member hospitals submit the data directly to the Department. The mission of the THA HIN is to provide the best, least work-intensive, most cost-effective data solution for THA and THA HIN members while ensuring a stable revenue flow to THA for data services. In the process, THA HIN maintains control of both access to and release of data to the greatest extent possible. Additionally, THA HIN ensures the availability of quality analyses and consulting services needed by Tennessee hospitals, along with meeting all legal reporting requirements. In 2016, TennCare began requesting that hospitals voluntarily provide real-time Admission, Discharge and Transfer (ADT) messages to TennCare to support the State Innovation Model (SIM) grant primary care transformation activities. By leveraging THA’s experience with the UB Discharge data program, THA was positioned to securely collect ADT information from each hospital, reformat the data to meet TennCare specifications, and establish a single feed to provide the requested data for TennCare enrollees. 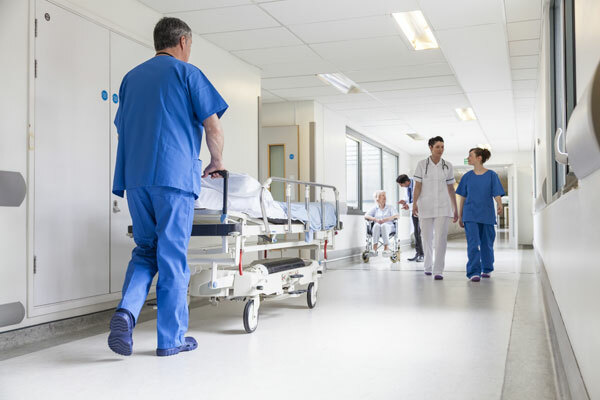 In addition, THA would allow the hospitals to maintain control of their data and would return appropriate data for all payers to participating hospitals that would support hospital operations including readmissions reductions. Because THA has Data Use Agreements (DUAs) and Business Associate Agreements (BAAs) in place with all member hospitals for the HIN, THA was able to create an addendum to the existing HIN Agreement to cover the ADT service. The Board-approved THA Data Release Policy was initially created to govern both member and THA use of the claims data. This policy was also amended to include the ADT data with input from the THA ADT Technical Subcommittee, THA Data Policy Committee, and THA Board of Directors to implement this service. Securing and providing TennCare member ADT messages to TennCare from hospitals. Providing access to all payer data/messages for patients back to Tennessee hospitals based on the individual hospital’s treatment relationship with the respective patient. THA is a neutral convener so no payer or other access, additional uses, or expansion would be allowed without the ADT Technical Subcommittee, Data Policy Committee, and the THA Board’s approval. THA has a proven track record of collecting, securing and appropriately using hospital data. 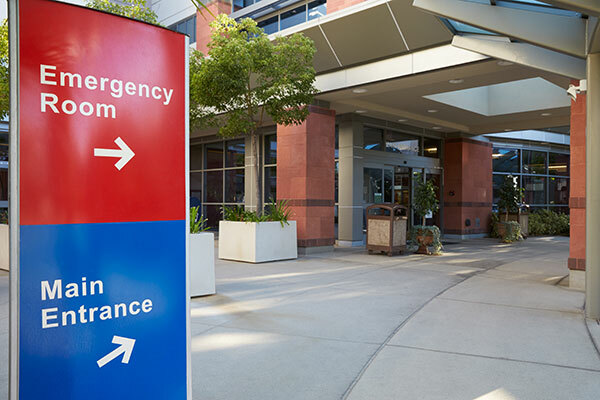 Develop a statewide system for the collection of real-time inpatient and emergency department ADT data from acute care and psychiatric hospitals in Tennessee. Oversight by the THA Board of Directors allows participating hospitals to maintain control, ownership, and access to the ADT data. Route ADT messages for TennCare members to support TennCare’s Care Coordination Tool (CCT) for their Patient-Centered Medical Home (PCMH) and Health Link initiatives. Provide access to ADT data from all participants at no additional cost to THA members for patients with whom they have a relationship. Working with the THA Board and THA members, develop opportunities to provide value-added notifications to participating hospitals for: readmissions reduction, Transitional Care Management (TCM) revenue, syndromic surveillance, and others. Minimize the financial and technical hurdles for THA member hospitals to participate. The use of ADT data by participating hospitals, THA, and TennCare is controlled by THA’s Board of Directors, and is articulated in the THA Data Release Policy. Who can participate in this service? Per the THA Board, participation in the THA ADT Service is a mandatory requirement for THA member hospitals. Non-participation by member hospitals requires an approved exception by the THA Board. ADT connectivity will be established with member hospitals or a third-party entity designated by the hospital, which may include a hospital system, local Regional Health Information Organization (RHIO) or Health Information Exchange (HIE), or other entity that houses ADT data for multiple facilities. THA will also allow non-member hospitals to participate in this service for a fee to take advantage of the program’s benefits. THA can monitor eligibility and performance for new directed payments that will begin in July 2017. These payments will replace the UHC pool payments that support the hospital assessment. Receiving these payments will be contingent on a hospital’s participation in the ADT program. Navigate to the Resources page on this website to access the “Hospital Onboarding Form.” Complete this form and send to Bryan Metzger (bmetzger@tha.com). THA will send a hospital-specific THA HIN Addendum, Hospital VPN Form, and schedule a Project Kickoff meeting with your appropriate hospital staff to begin the project. After the Kickoff meeting, begin processing these documents for completion, approval, and signature for your respective hospital. Once complete, send the signed THA HIN Addendum and completed Hospital VPN Form to Bryan Metzger (bmetzger@tha.com). After receiving the Hospital VPN Form, THA and Ai will setup a secure VPN tunnel for you to send us an initial “flood” of production ADT data (typically one day’s worth). THA and Ai will conduct a series of quick status calls to discuss the data quality and conduct additional “ADT flood tests” as needed. Once all parties complete a testing sign-off, we will activate the ADT feed in Production. The THA Health Information Network (THA HIN) was formed in 1999 by the Tennessee Hospital Association to assist member hospitals in meeting the state mandated hospital discharge data reporting requirements.